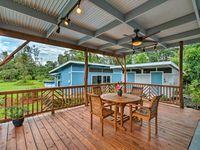 "THE ARECAS" a great place in a Beautiful Hilo location! Property 2: "THE ARECAS" a great place in a Beautiful Hilo location! Property 3: Watch the Whales from comfortable penthouse apartment! Oceanview Hilo Studio w/ Elevated Covered Deck! Property 10: Oceanview Hilo Studio w/ Elevated Covered Deck! NEW! 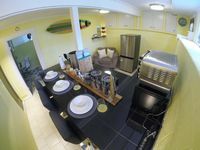 Hilo Studio w/Patio Near Downtown & Beach! Property 20: NEW! Hilo Studio w/Patio Near Downtown & Beach! Property 23: Steps to Beach Park, swim with the turtles, minutes to drive to restaurants. Tropical Paradise On a Budget! Property 24: Tropical Paradise On a Budget! Property 26: Rain Forest Apartment! Property 28: Tropical Studio Apartment! OUR AREA IS NOT EFFECTED BY THE RECENT VOLCANO - THE PERFECT OCEANFRONT RETREAT! Property 34: OUR AREA IS NOT EFFECTED BY THE RECENT VOLCANO - THE PERFECT OCEANFRONT RETREAT! Amazing Ocean, Grand Sky, and Hilo Views. Spacious, yet comfy. Property 38: Amazing Ocean, Grand Sky, and Hilo Views. Spacious, yet comfy. Keaau Apartment on Beautiful Acre w/ Pool & Deck! Property 43: Keaau Apartment on Beautiful Acre w/ Pool & Deck! Cozy Volcano Studio w/Phenomenal Rainforest Views! Property 45: Cozy Volcano Studio w/Phenomenal Rainforest Views! Property 48: Golf Course getaway! Nice large space with everything you need. Perfect if you are looking for a serene getaway. Just a short drive to restaurants and attractions. The space was comfy, clean, and well stocked with lots of kitchen supplies, towels, and beach toys. Only ran into Steve once, but he was so friendly and welcoming! Plenty of parking and close to town, worked out great!